IT shops that use both Oracle and SQL Server need effective enterprise management. 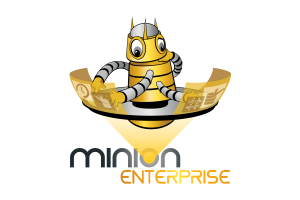 When we introduce these shops to Minion Enterprise, they typically have the same set of questions: first, about the product itself; and then, about the differences between MinionWare’s Minion Enterprise, and Oracle’s system monitoring plug-in, Oracle Enterprise Manager for SQL Server (or just, OEM). Active Directory (AD) expansion shows all users in all groups and sub-groups. Find all AD and SQL users that haven’t had passwords changed in X days. Find all SQL users that don’t follow password policy. Find weak SQL passwords, without running a brute force attack against each server. Alert on service account changes. Or, simply discover service accounts for all instances. No other product available that can perform many of these items. The items that remain are done very well in Minion Enterprise, and done from a central location. There are a good many more items on the list, but this is an excellent place to start. So where will Minion Enterprise help you best? Find out today with a 90 day trial.